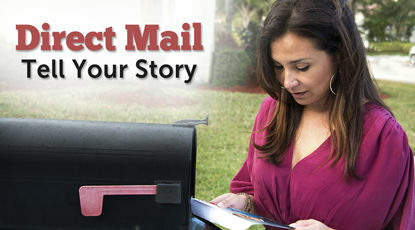 Use postcards as direct mail to deliver your message. 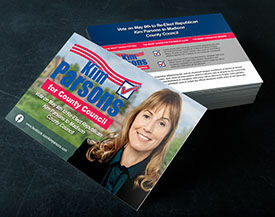 Folded postcards can give you double or triple the marketing space for the same cost as regular postcards. 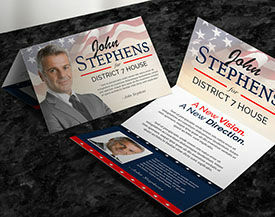 Use as direct mail, a brochure is defined by the post office as being larger than an 8.5" x 11". 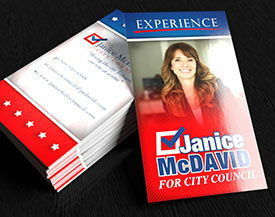 Tried and true, Business Cards are not just for giving contact information. 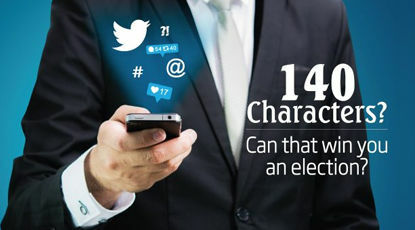 Use business cards to reinforce your message. 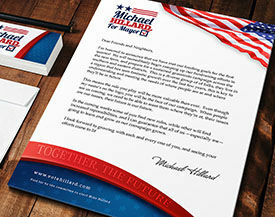 Make sure your campaign has a professional look with personalized letterhead; perfect for correspondence or solicitation of donors. 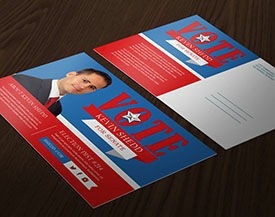 Put your message in voters' hands before they vote with easy to read pocket-size push cards. 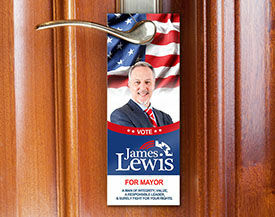 Door-to-door canvassing is not complete without campaign door hangers. 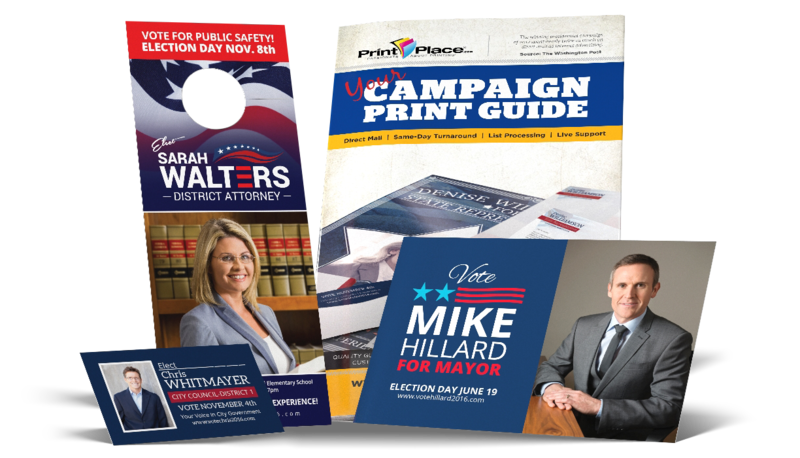 The die cut slit makes it easy to leave your campaign materials. Easy to hold. 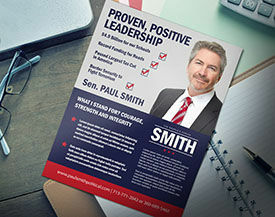 Rack Cards are perfect for retail politics. 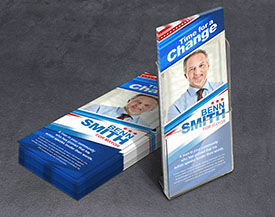 Turn your rack card into a pocket-size card with a fold. 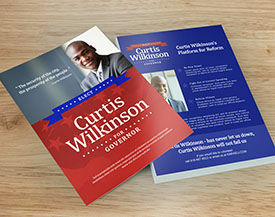 Flyers are an inexpensive way to get your message in voters' hands; also can be used as invitations to your events. 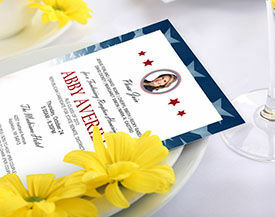 Custom printed programs are superb for fundraising dinners. Choose from 8 different folding options. 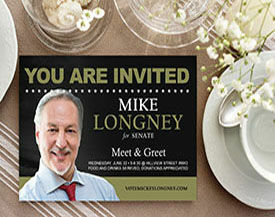 Make your event a success with personalized invitations; perfect for fundraisers or meet & greets. Not just for providing information, table tents are an impressive way to thank your sponsors for their support. 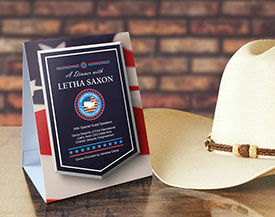 Get a feel for our paper stocks, printing quality and range of products.